This is one of our favorite hammocks as you can see on our Best Hammock List. The great part about it is that it comes with everything you need to start hanging right away! Many competitor companies require you to purchase extras like straps. But That Good Hammock Company includes straps and caribiners with your hammock purchase. Keep that in mind when comparing prices. Everything that you need to hang your hammock will be sent with your hammock package with out you need to purchase more. 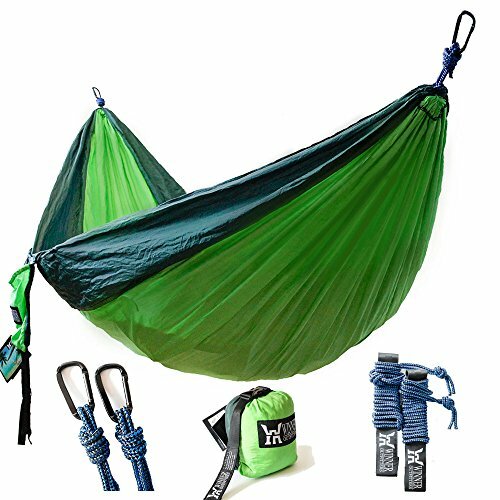 You will receive a double (2-person) hammock, two hammock tree straps with 16 loops each, two ultra-light yet heavy-duty wiregate carabiners, and a convenient stuff sack. The hammock and all the gear will fit into the stuff sack. You know this hammock comes with a lot of the tools and items needed to start enjoying it right away. Are they worth purchasing though? This hammock has been made extra wide so that two people can sit in it. Two people can also lay down in it, but the company and myself advise that it may not be comfortable for very long with two people laying down together. If you will be using this for camp sleeping you definitely should consider two hammocks. The nice thing about a double is that it is super comfy and roomy for one and two can also sit up in it nicely. The amount of weight that That Good Hammock can hold is 400 pounds. While this is not as high as some of the other more pricey hammocks, you may want to ask yourself if you need a higher load capacity or not. I find myself wanting the best for my money, and I often look at load capacity but then stop and remember I weigh 118 pounds. That leaves 282 pounds left over for any visitors to sit with me. Think about the load capacity that you will need and even add on to that. Many couples would be well within the limits on this hammock. If you are wanting a larger load capacity, then are hammocks out there with a much larger load capacity. That Good Hammock has a good load capacity for a larger person wanting to use this as a single hammock. It's roomy and can handle a 400 pound body. That Good Hammock people believe that you will like your hammock so much, that they offer a full money back guarantee. And you even get to keep the hammock. They say that they read all the reviews and constantly strive to pinpoint exactly what people want. Competition is a good thing when companies strive to win your business. This guarantee is a strong selling point for me when purchasing a hammock. Only companies that truly make a good product could survive as a business with a guarantee like this. 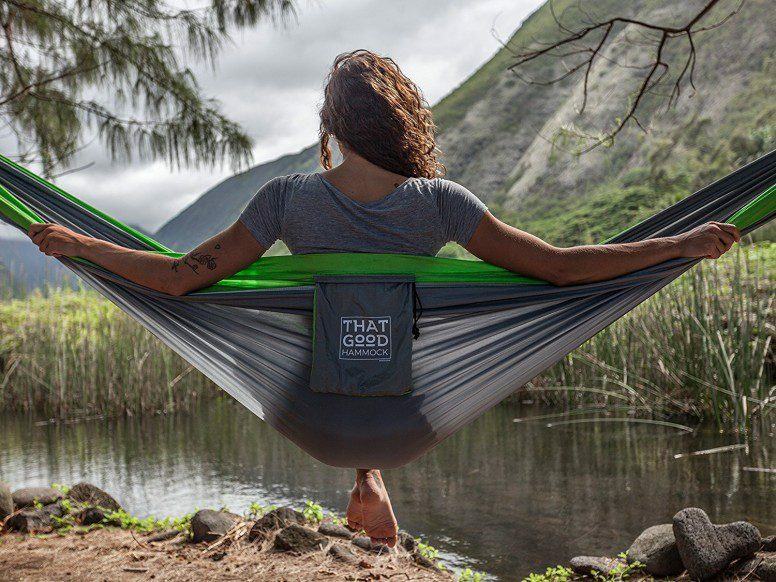 The set up for That Good Hammock is fast and easy. You do not need to know how to tie and untie (untying is often more tricky than tying) any fancy knots. That Good Hammock utilizes simple straps to hang the hammock. All are included in your hammock purchase. When you are hanging in a hammock, the last thing you want to think about is - How secure is this thing anyways? With That Good Hammock you can rest assured that you will be tucked in safely. The carabiners are top quality and the stitching is triple stitched with 210T nylon. Hammocks are only as good as the seams really as far as tearing and ripping goes. With this hammock, you shouldn't have any seams come apart. The Hammock weight including all the of the equipment is 2.3 pounds. While this seems higher than competitor hammocks, keep in mind that this weight includes the straps and carabiners. Make sure to compare apples to apples when comparing weights of the hammocks. For the other hammock companies that make you purchase straps separately, it appears that they have a lighter product. Keep in mind what weights you are comparing. The cost of That Good Hammock is lower than the cost of many of the double hammocks out there. This is especially true considering that the straps and caribiners are included. Many people have bought this hammock as gifts for others after purchasing one for themselves. The reasonable cost makes it easier to purchase multiple hammocks. The attached sack is larger than most of the hammocks I've reviewed. With the larger sack you won't be wasting time trying to stuff your hammock into it's place when it's time to take down your set up. The finished size of the sack including the hammock, straps and carabiners inside is about the size of a football. This is going to be larger than the size of many of the other hammock sacks out there. Most are about the size of a grapefruit. While yes, it is a bit bigger, it is definitely quicker to stuff your hammock and hammock gear in. 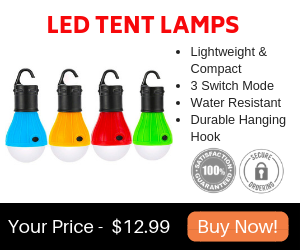 If you are an ultra-light camper the size may bother you, but if you are on daytrips, or using this for the beach or backyard, you may want to consider the ease as to which it packs away over the larger size of the stuffed bag. If you purchase That Good Hammock, you will have 4 colors to choose from. Many of the other hammock brands only have 1 or 2 color options. But for That Good Hammock you get to choose between dark grey & sky blue, light grey & apple green, orange & black, or blue & light blue. With so many choices you may even find your alma mater's colors. I would give this hammock a try. It is durable. You have 4 colors to choose from. If 400 pound weight capacity meets your needs, why not give That Good Hammock a try? If you are not satisfied, the company will give you a full money back guarantee. And you even get to keep the hammock. You really can't go wrong here. Here are some top questions that I found for people seriously considering buying a That Good Hammock. Is the total weight listed for just the hammock or straps and all? Good question. The total weight listed is for everything. This includes the hammock, straps and carabiners. Does this hammock include a bug net? No, That Good Hammock does not include a bug net. However, the hammock can wrap around and cover your whole body. Also, there are online tutorials that explain how to make your own bug net. Some people find the bug nets to be quite a pain to set up. Also, when you get out of your hammock, it's more complicated with a bug net. Is this hammock easy to set up? Yes, That Good Hammock is extremely fast and easy to set up. Simply attach the straps to two trees and hang your hammock. I'd give this hammock a try. There are not as many reviews out there on this hammock as there are for some of the bigger name brands. But with that being said, all of the reviews that I've read are overwhelmingly positive. I tried to find some negatives and just couldn't find anything bad to say about this hammock. 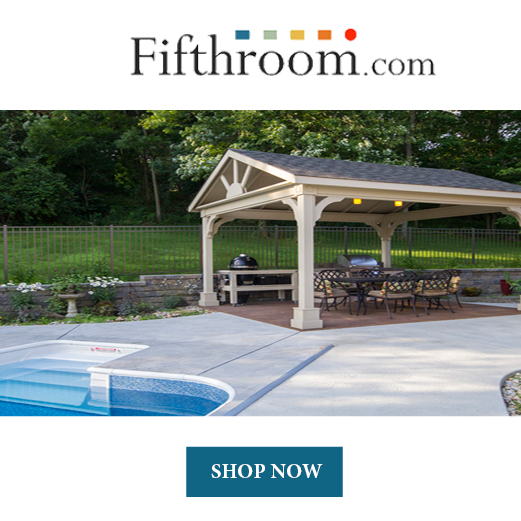 People who have purchased it have had a great experience with the hammock and the company. With a full money back guarantee if you are not satisfied, and getting to still keep the hammock, you really can't go wrong with giving That Good Hammock a try.